Was your Car Flooded during Hurricane Harvey? Is the Insurance Company trying to Total your Vehicle and Offering an UNFAIR Amount? Hurricane Harvey damaged up to 600,000 vehicle in the Houston, Texas area, many of which are now flooded and will considered a total loss by the insurance carriers. Due to the large number of claims, insurance adjusters are overworked and often under-value the total loss value of vehicles. Don’t let this happen to you. Do you want a second opinion? 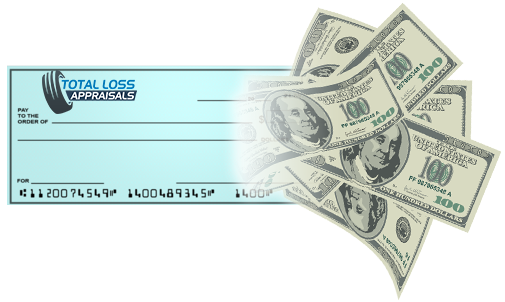 We offer a Total Loss Claim Review. 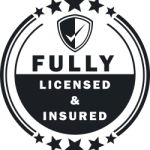 Our Total Loss Claim Review is a full analysis of your claim and an examination of your vehicle’s value and an assessment of the fairness of the insurance company’s total loss offer to you. For a claim review, we need a copy of the insurer’s vehicle valuation report, this is normally a 10 to 12 page report issued by valuation aggregators like CCC, Mithell or Audatex. Do you need a Claim Review? 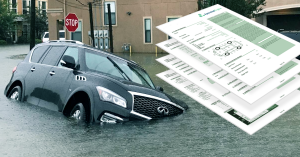 Was your vehicle in a flood or water damage? Is your insurance company unfairly compensating you for your vehicle’s value? Are you not sure what to do or if their offer is fair? What are the steps after a Claim Review? After analyzing your claim, we will issue a claim review report, this will show what we believe your vehicle’s value is. If you’re in agreement with that amount, you can then order a full appraisal and our claim settlement service. If we and you do not agree on the amount of loss, either may demand an appraisal of the loss. In this event, each party will select a competent appraiser. The two appraisers will select an umpire. The appraisers will state separately the actual cash value and the amount of loss. If they fail to agree, they will submit their differences to the umpire. A decision agreed to by any two will be binding. Our Senior Appraiser, Tony Rached, is a Licensed Texas Insurance Adjuster. Please review his Curriculum Vitae for a list of his qualifications. Adjuster License lookup on the Texas Insurance Commissioner Website. Let us help you quantify your vehicle’s value and negotiate with the carrier to help you achieve the highest settlement possible. Due to the large scale of this catastrophe, we’ve set up a hotline to help Houstonians navigate through these issues. You can call (281) 529-5243 or start by ordering a $50 claim review by filling out the form below.